Its Friday and it has been a bad week. Boss is on your case, girlfriend/boyfriend driving you up the wall and you need to blow off some steam. Suddenly, that ice cold beer with some good friends sounds really good, doesn’t it? 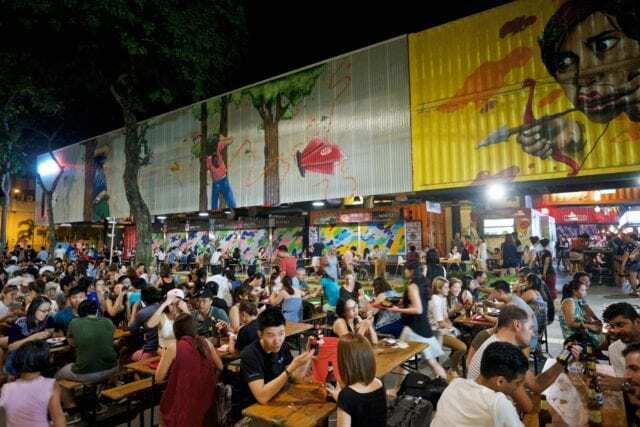 There are A LOT of bars in Singapore with each one claiming to serve up the best drinks, have the best atmosphere and as such, would be the best place for you to go. But which place is actually good for you to head to? Are you keen on something a little more exotic? Somewhere a little more “hidden” that won’t be heaving with people? I’ve got a list of great places for you to get an ice cold beer to relax and unwind. Did you know you can earn cashback every time you eat out? 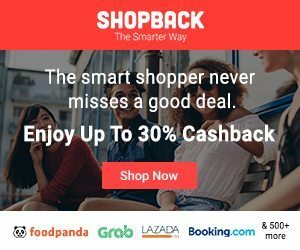 ShopBack GO makes your meals more rewarding and affordable by letting you earn Cashback every time you eat at over 500 cafés and restaurants. A notable chain bar with many outlets across Singapore, Harry’s offers good drinks, food and a welcoming atmosphere with reasonable prices to match. I’ve been to many Harry’s myself and the service, drinks and food have always been consistently good. A safe choice with some locations having a lively and fun atmosphere. If you find yourself around Orchard, Brotzeit at the Discovery Walk @ 313 Somerset is a mandatory stop for quality German beer. Go in looking for cold beer and you will be tempted with a slew of lagers and a Bavarian feast. Brotzeit’s delectable menu is nothing to be ignored. Their crackling Pork Knuckle marinated in draught beer for 24h makes for the perfect meal to share among friends. 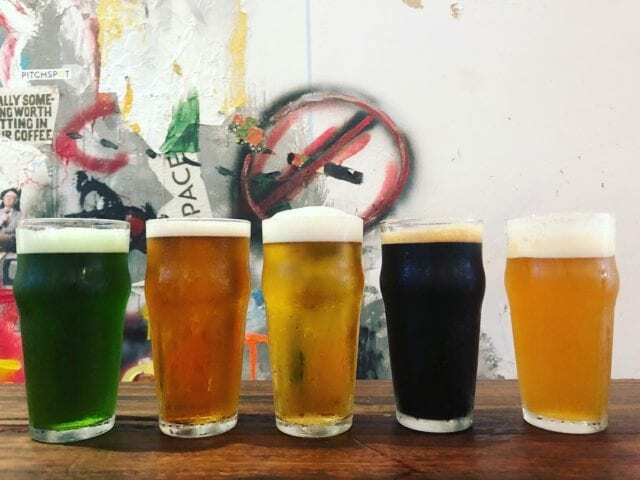 They tend to have some wicked beer deals like their current all 0.5L draught beer at $10 all day, every day, till 21 Apr 2019! Wala Wala has been around for as long as I can remember. Established in 1993, Wala Wala is a famous and well-patronized bar that is relaxed yet sophisticated in an inimitable way. Wala Wala is a two storey place with a terrace if for some reason you enjoy the heat. Live performances also happen regularly with an eclectic presentation of pop, rock, soul, acoustic folk and sometimes grunge. 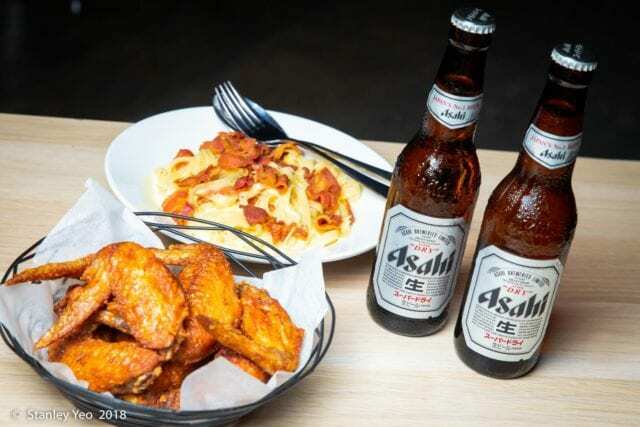 Haji Lane hides an excellent hangout for beer fiends. Good Luck Beerhouse offers over 50 varieties of craft beers, bottled and on tap, from all over the world. The best thing about this place? This is a no-frills kind of den that always has 12 craft beer taps on rotation. You can come back regularly, and you will always find new tipples to quench your thirst. Good Luck Beerhouse also serves small bites to eat on the side such as Szechuan fries, edamame and a few dim sum selections, if you feel peckish after a few pints. With a motto of “The Dream is Free” and “Hustle is Sold Separately”, it can sound like a pretentious place to be. However, Hustle Co. is anything but. 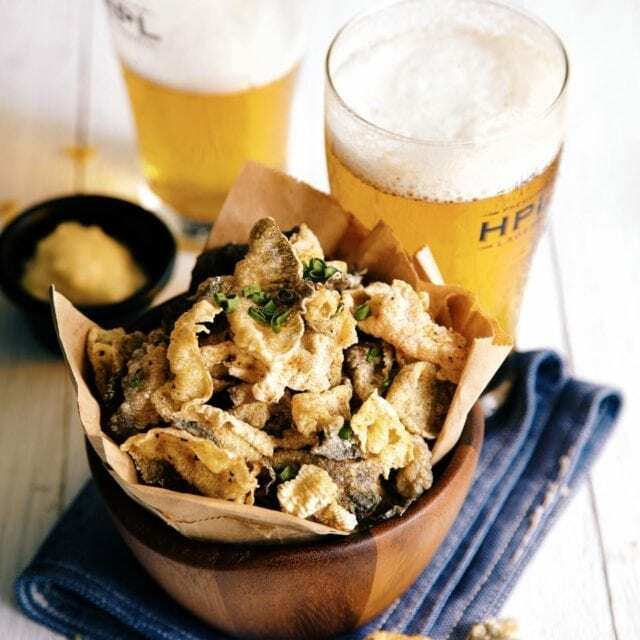 Featuring 12 craft beers on tap, this bar offers curated food such as the burgers, tuna tartare and more, to match the beer, which they take seriously — a dedicated chiller is used to store the beers to ensure that the beer is served at optimal temperatures for maximum enjoyment. Hustle is a great place to go if you want somewhere not as crowded where you can actually hold a conversation and if you are a little more discerning with your food and beer. 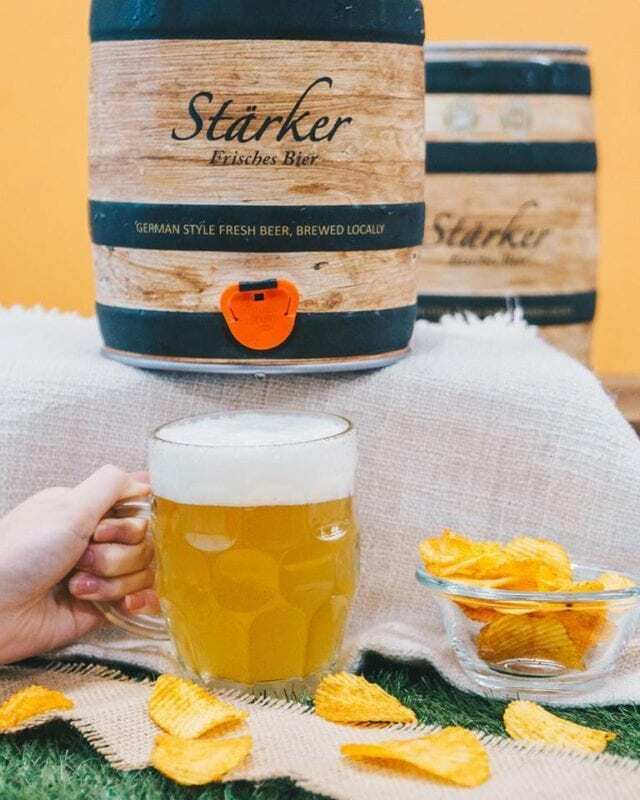 Stärker is one of my absolute favourite bars to go to. Each outlet is well-designed, warm and intimate. The live music is not bad, their food is creative, tasty and freshly made. Some popular favourites are their renowned pork knuckle, chicken skins and sweet potato fries that are accompanied by sauces such as salted egg sauce. Oh, and of course they have excellent beer. 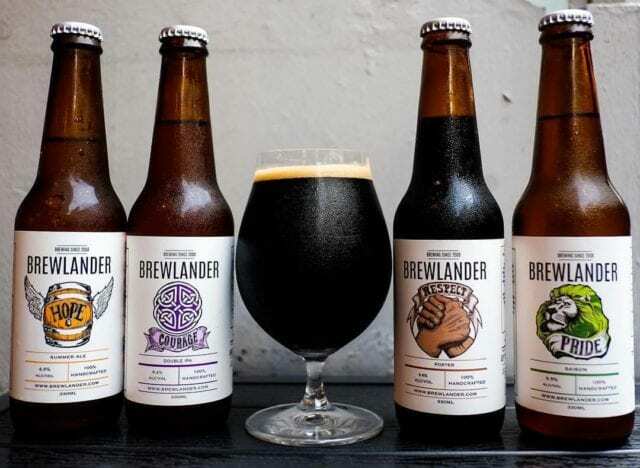 They have a master brewer who created several great tasting brews and I personally enjoy the Charcoal, which is a dark stout-like beer with a punchy, almost savoury taste for those who like bold, strong beers. Their ale has clear notes of hazelnut and is a warm amber colour that is a great relief on hot days. 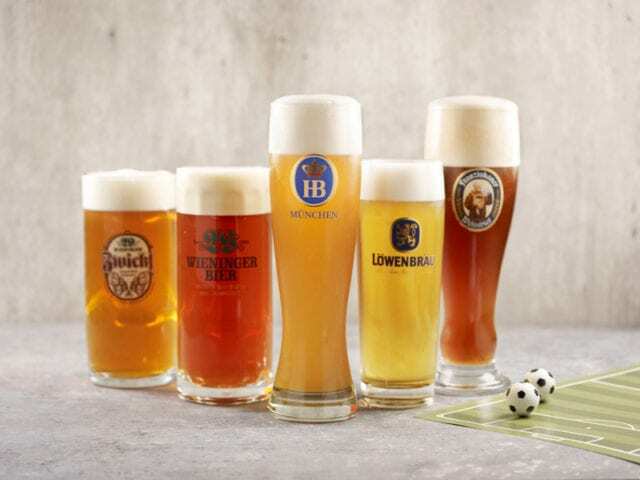 My brother who is a chef, swears by the Dunkel lager and my female friends enjoy their lychee and aromatic beers but it is way too sharp and astringent for my taste. 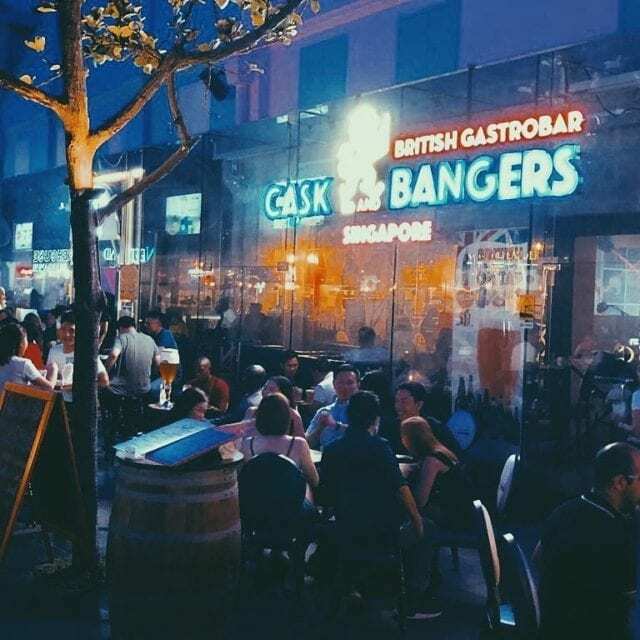 Cask & Bangers is a British style diner located at the hotspot of nightlife that is Clarke Quay. Offering gourmet British food, craft drinks and a community of sports fans, you can be sure to find like-minded individuals if you are searching for a place to hang out to watch the game. They offer a curated craft beer menu and unpretentious British comfort food such as bangers & mash, Yorkshire pudding and serve a fish & chips. The Bottle Shop has a rotating beer and cider menu of close to over 200 different types of drinks from around the world. This means that with each visit, there is a massive selection of at least 120 beer and cider in their cellars for you to choose from. They have an in-house “Beer Nerd” who constantly curates and refreshes the selection. Rest assured that not all the choices are completely wild and out there. There will be familiar favourites and likely some you’ve never heard of before if you are interested in a gastronomic adventure. This is also a good place for those of us who have friends who don’t drink. I have such a friend and they serve mean cookies and cream milkshake so they don’t feel completely left out while you discover beer and cider that you will likely never encounter on your own. There is no shortage of places to grab a cold beer all over the city. The best thing about these suggestions below? If you use ShopBack GO, you’ll get cashback at any of these outlets. Let’s grab a drink, then? The Dirty Truth About Household Items: How Often Should You Replace Them? Skills-Based Volunteering in Singapore: Why Work Pro Bono? Best Happy Hour Promotions To YUM SENG To!